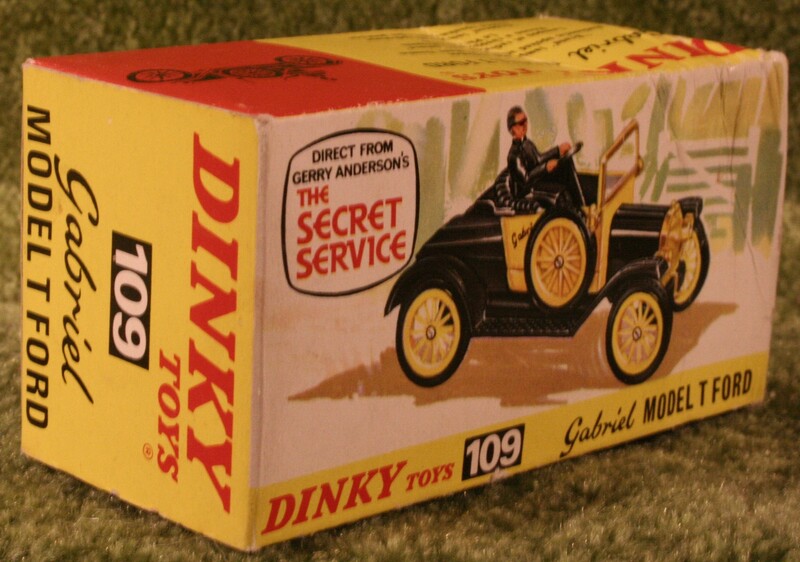 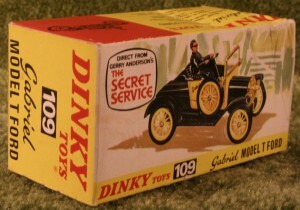 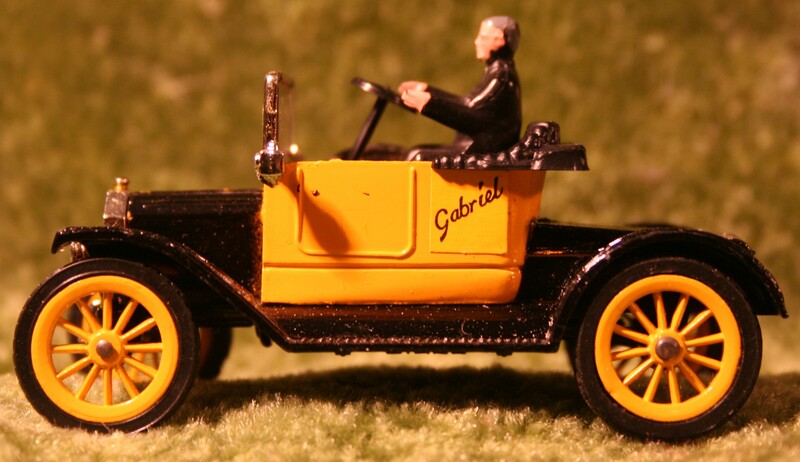 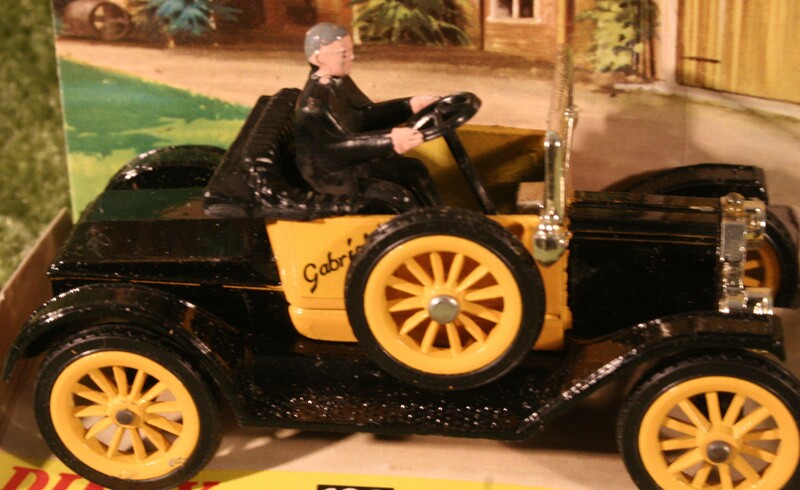 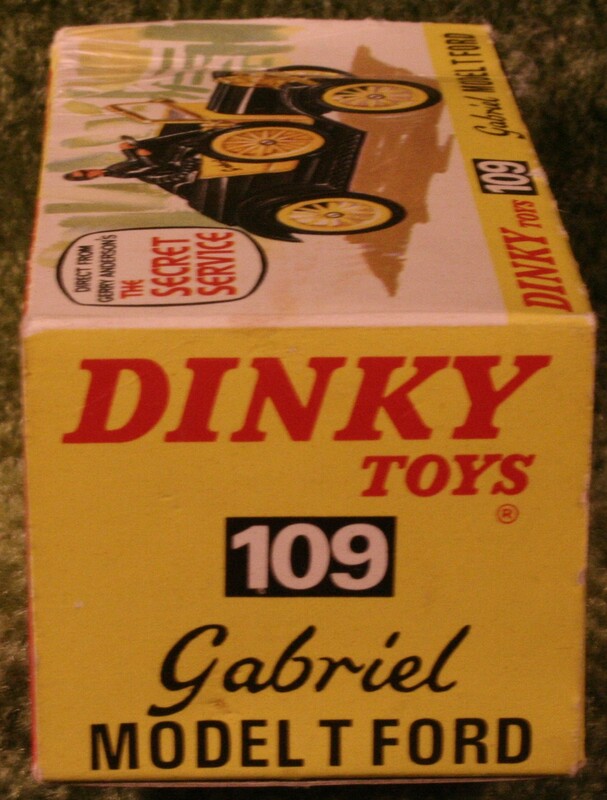 “Gabriel” Model T Ford, Dinky Toys No 109. 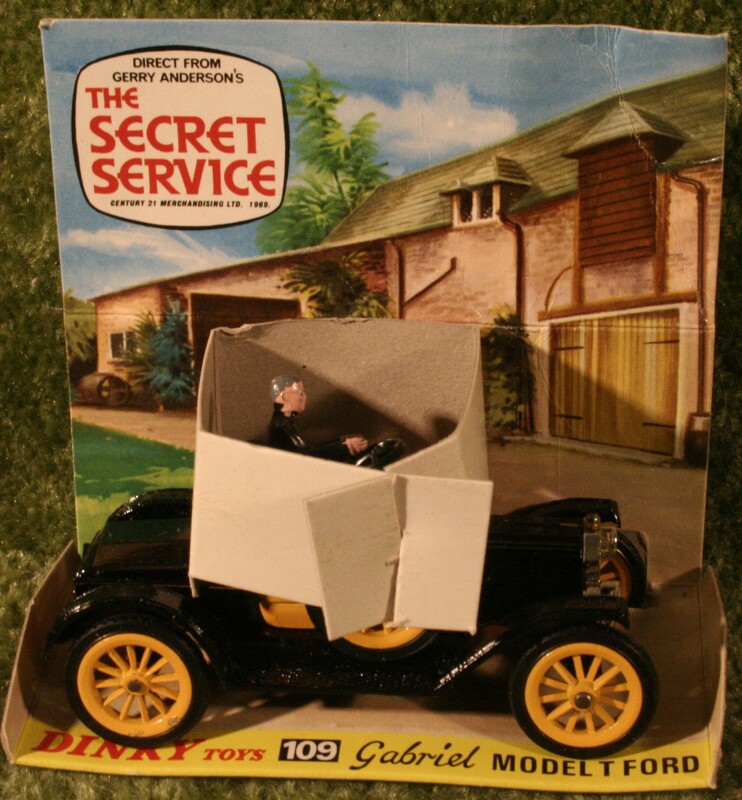 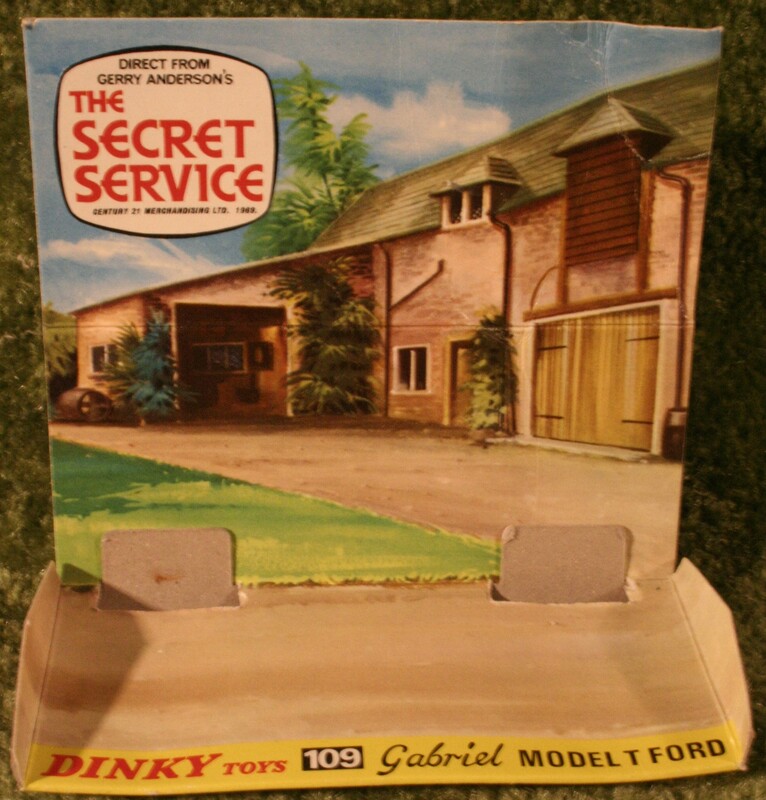 This was a model of the car driven by Father Unwin in the series “The Secret Service”. 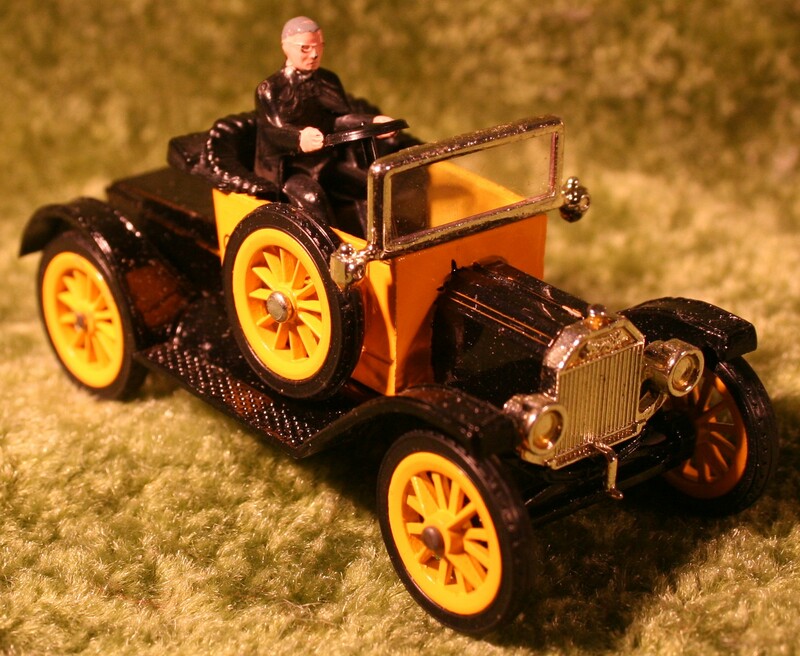 The model was black with yellow spoked wheels, “chromed” metal radiator lamps and windscreen surround, with a plastic windscreen. 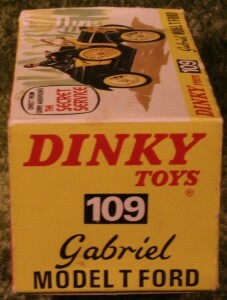 The central part of the body was yellow and had a yellow sticker on either side, with the car’s name “Gabriel” in black. Also on the model were black plastic seats and steering wheel. It was complete with a black plastic model of Father Unwin driving. 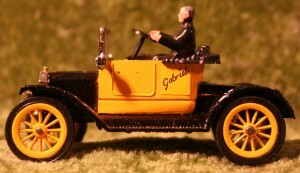 The overall length is about 83mm. 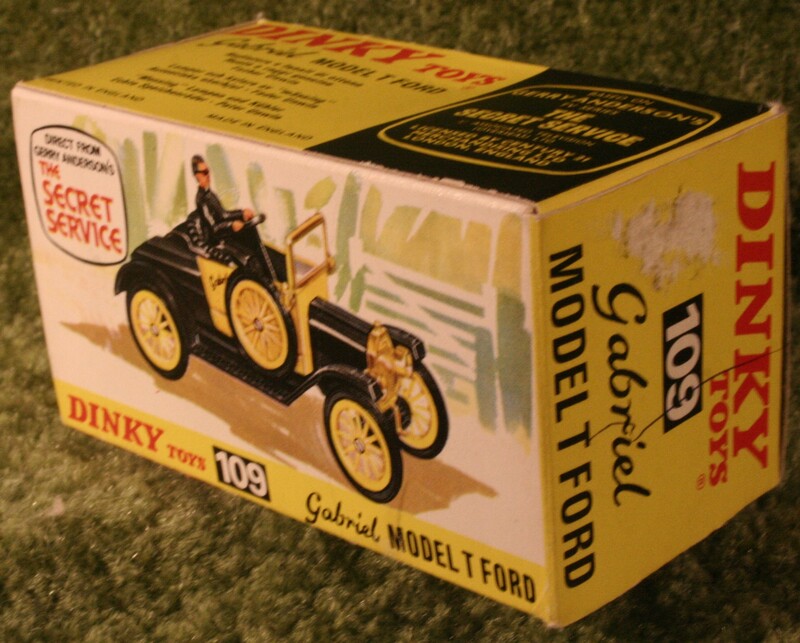 It came in a box depicting an artist’s impression of the model on either side, with the model’s details printed on the end flaps, top and bottom. 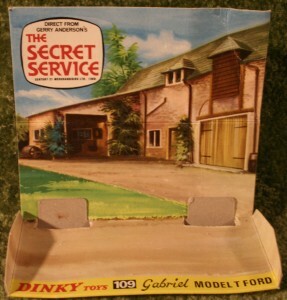 Also included was a pictorial cardboard display stand, showing a house and garage.